Professionals in the Art of Animal Grooming! Beyond Grooming is owned and operated by dedicated animal lovers, and we know how important your pet is to you and your family. We always use all-natural bio-degradable products to ensure your pets comfort and safety. Our professionals are experienced in all temperaments so handling is not an issue. We offer all breed dog grooming in addition to cats, birds, bunnies, ferrets & guinea pigs. We are always available from 9 am -3 pm Monday- Saturday for appointments, walk in nails and quick trims. Most quick trims take about 10 minutes so no appointment is necessary. Walk in full service grooming is Wednesday-Saturday 9 am-1 pm. Call Beyond Grooming 512-938-1113 between 7 am-7 pm or text 512-364-9634 anytime for more information or to book an appointment. Depending on the needs of your pet, grooming can take 30 minutes to 3 hours for appointments. Please a lot additional time for walk ins, dense/matted coats, special needs pets and/or multiple pets. If you have a specific time frame, please don't hesitate to let us know. 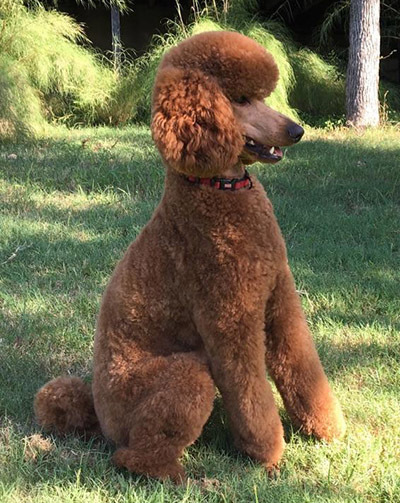 We always look forward to giving you and your pet the best grooming experience possible, I assure you will love the difference our pet grooming professionals can make! All information provided is provided for information purposes only and does not constitute a legal contract between Beyond Grooming and any person or entity unless otherwise specified. Information is subject to change without prior notice. Although every reasonable effort is made to present current and accurate information, LinkNow™ Media makes no guarantees of any kind.